Albion have confirmed their first pre-season friendlies as they begin preparations for their first season in the Premier League. The Seagulls finished second in the Championship last season and will spend a week at an overseas training base in Austria from July 8 to 15, before returning to the UK to begin their pre-season match schedule. Brighton play their first friendly at League Two Crawley on Saturday, July 22 (3pm), before facing League One Southend United at Roots Hall on Tuesday, July 25 (7.45pm). 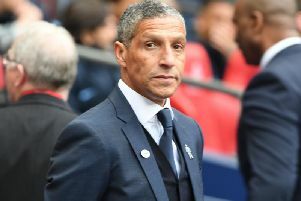 Albion's next match is against Championship Norwich City at Carrow Road on Saturday, July 29, before an away friendly in Europe two days later, with the opponents yet to be confirmed. The final pre-season fixture will be played at the American Express Community Stadium on Sunday, August 6, with the opposition also to be confirmed. Ticket details for the confirmed list of games will be announced once confirmed.